Theatre tickets make the perfect gift–they always fit and never go out of style! Gift certificates are available in denominations starting at $25 and can be redeemed for any Broadway in Tucson event. Click here for details. 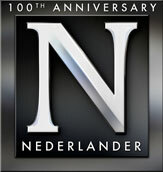 A grand gift that lasts all year— the best seats, complimentary beverages, priority reserved parking and VIP service — the Nederlander President’s Club is for those who expect the best! Click here for more information on the President’s Club.